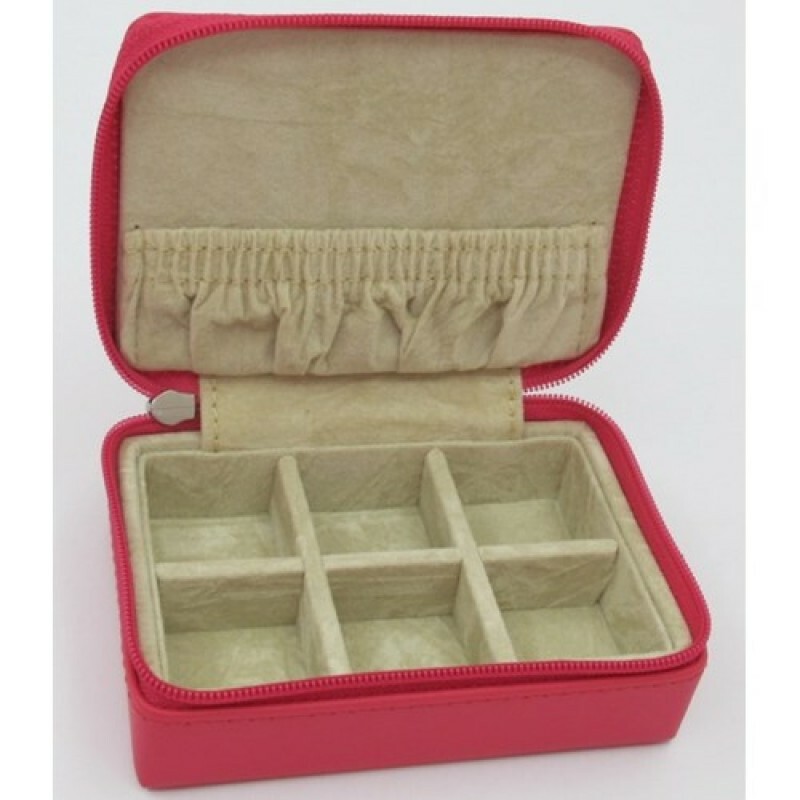 Zippered Mini- At the size of appx 4”x 3” x 1 ½” this cute little guy can just about fit anywhere. 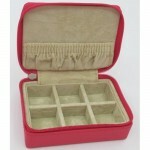 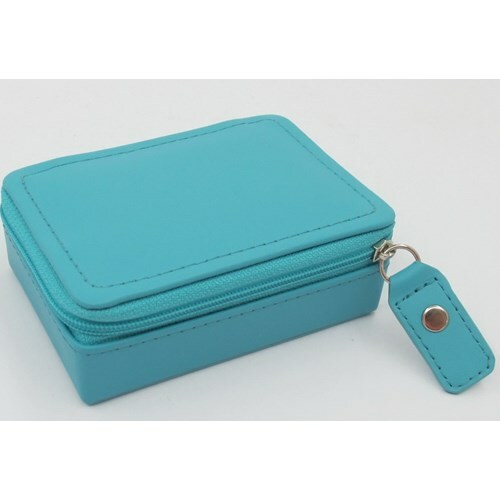 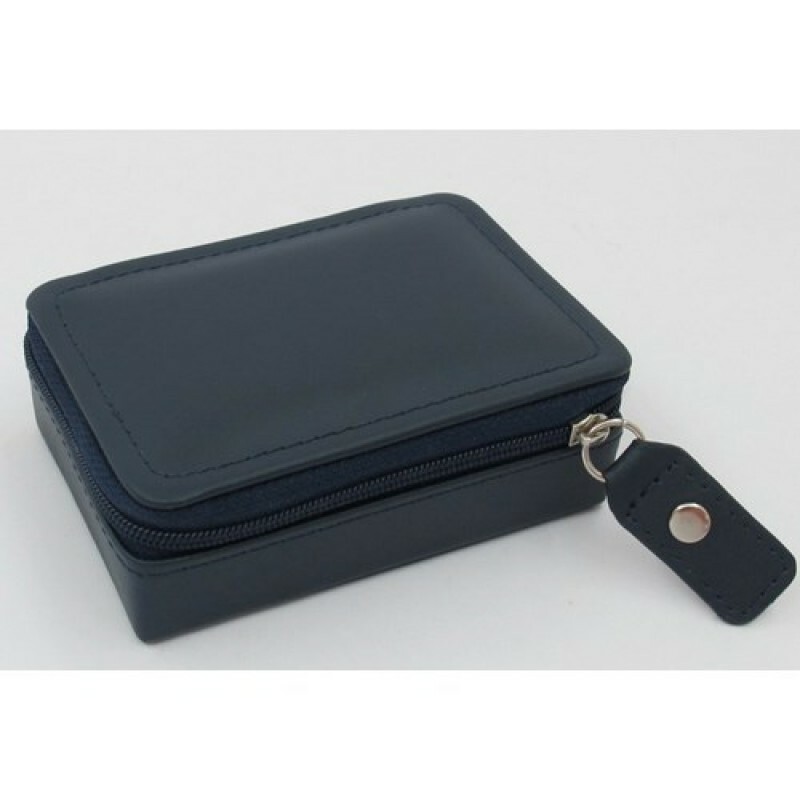 Zip around and open up to 6 inside 1” compartments. 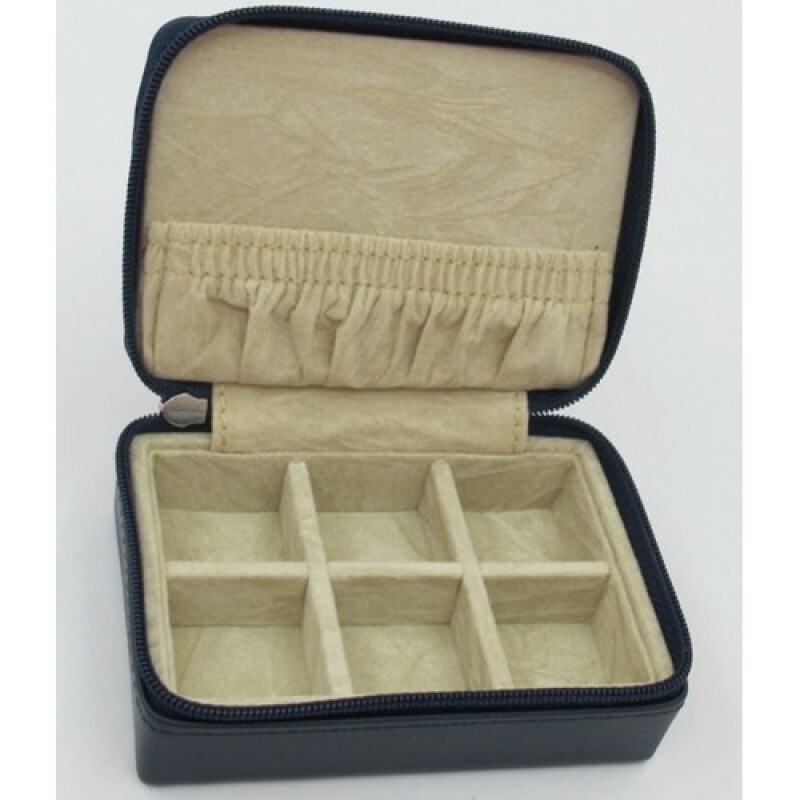 There is also a little elasticized 1” pouch in on the inside of the lid. 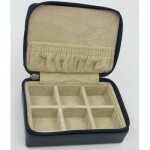 This jewelry box is genuine leather with tone on tone stitching and silver toned hardware.